Essential oils of black pepper, marjoram and niaouli. Designed to warm and soothe muscles and joints. 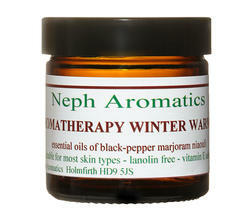 Especially useful in the relief of cold and aching hands and feet and arms and legs.